Let’s just face the facts: January is (for the northern hemisphere at least) a cold month. Sure, we could just head south and jump on the beach, but not many of us have that option and are busy freezing our you-know-whats off up in the northern climate. It definitely takes a special bag to be able to go with the highly varied seasonal wardrobe changes we go through every year. Sweaters, jackets, big hoods and fluffy scarves to shorts and T-shirts? A stiff challenge for any bag manufacturer. However, Korean fashion bag brand Builford is one of those that steps up to the plate and hits it out of the park. 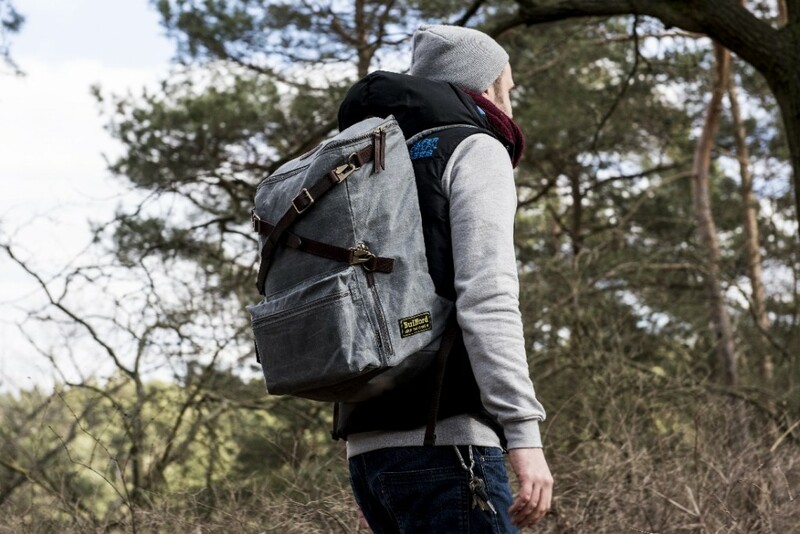 Builford bags can do this mainly due to the material they use, waxed canvas. It’s an incredibly versatile, chameleon fabric that blends into casual summer wear and toughens up against the cold winter. The waxing process protects and waterproofs the canvas, which makes it safe to take out in rainy or snowy winter days. Even Builford’s choice of leather, which one wouldn’t necessarily associate with “good cold weather material,” is specially treated to not dry and crack. In essence, you have a soft, smooth bag that looks gentle but will not bend or break in a fight against the elements. If the wax naturally evaporates, you won’t have to toss out the bag or get a new one — the company also provides a great rewaxing solution to make your bag look as good as new. And the best part about it is that when soggy springs and hot summers come back around, your bag will be right there with you! Dress it up, dress it down, pair it with shorts or jackets. 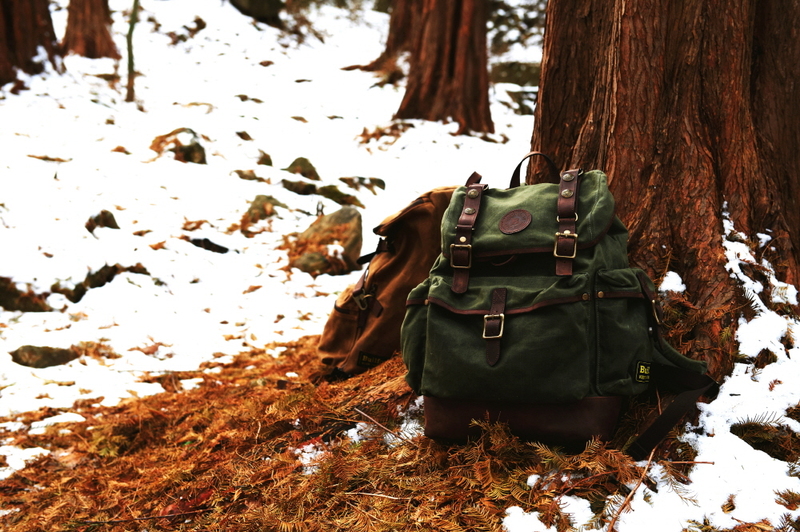 So go ahead and bundle up — and don’t worry about keeping that Builford bag out of the snow, it can take it! Stay warm everyone (and if you’re on the beach, well, have some pity for those of us in the freezer). 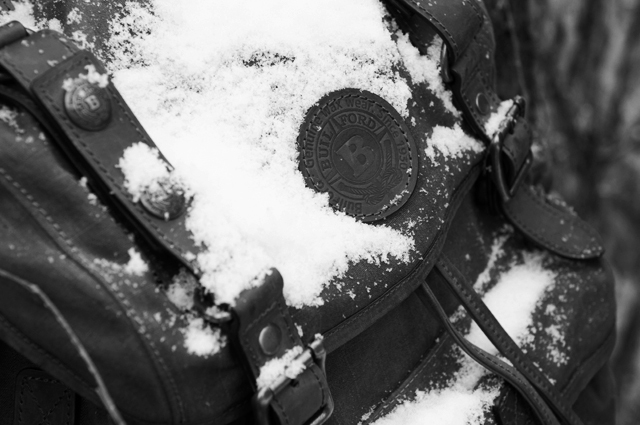 To find out more about Builford’s materials, history, and of course, to shop for your own all-weather bag, head over to www.builford.com! 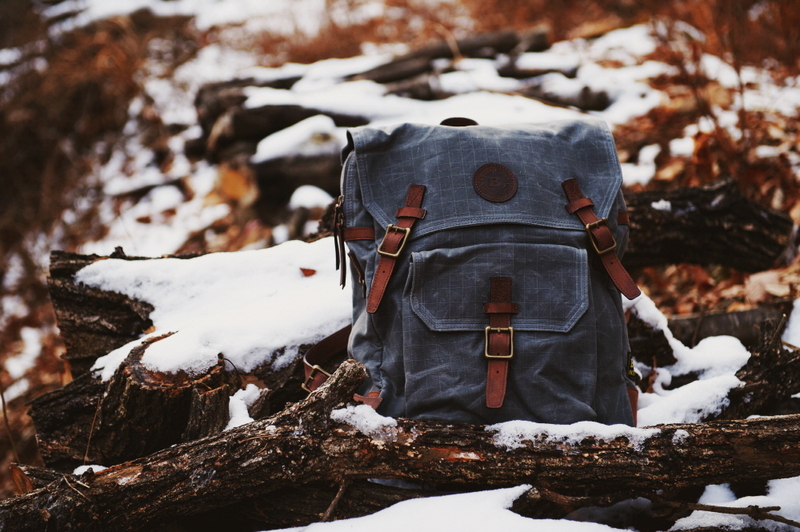 Share the post "Winter Fashion: Builford Bags and Rucksacks"
Posted in Blog and tagged all seasons backpacks, all-weather backpacks, backpacks for winter, Builford waxed canvas, waxed canvas backpacks, waxed canvas bags, winter backpacks, winter bags. Bookmark the permalink.